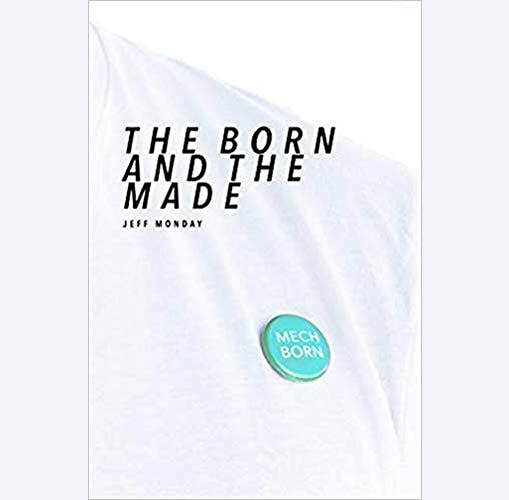 Your new book, The Born and the Made, was released last November. From where did you draw your inspiration for this book? I was having a conversation with friends and we were talking about dating apps. Someone made a comment about having an app that you could point the camera at a guy and it'd tell you if he was gay or not. My brain immediately saw the repercussions of such technology and I had to write it down. Depends on the story. Some I map out ahead of time but more often than not, I just let the characters tell me their stories and am just as surprised as they are about what happens. Adding my personal experiences of being harassed and shunned and discriminated against. It's never easy re-living hate. Coming up with a new culture for the Mades (the constructed people). New language, new art. It was a fun challenge. Really a combination of all the brave people I know and have been lucky enough to know over the years. It's heart-breaking and inspiring all at once. The villain was easy. I just had to look at the world around us and see all the hate and fear pointed towards me and my friends. Various people and places I know. Experiences my friends have gone through. My own life. Listening to reactions from readers, I'm learning that we all have moments in our lives where we felt alone and abandoned. I knew that, of course, but hearing their stories brings it home. Can you be an "influencer" from your couch? Working on a epic fantasy series. And a short horror/surreal bit. Possibly a hardcover collected edition of my trilogy. Plus whatever fever dreams surface. There's always hope. You are loved. You are not alone. 12. What is your preferred method to have readers get in touch with or follow you (i.e., website, personal blog, Facebook page, here on Goodreads, etc.) and link(s)? My website is jeffmonday.net. I have an author page on Facebook. (Jeff Monday, storyteller). Also on Instagram (but that's more for my photography). And I can be found at various pubs around town. I'm the one drinking whiskey or cheap beer. 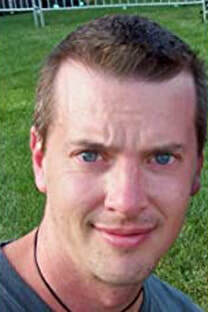 To learn more about Jeff Monday visit his website: jeffmonday.com. You can also check him out on Facebook and Instagram (though that is more for his photography). "I can also be found at various pubs around town. I'm the one drinking whiskey or cheap beer."